Jesus said it would have been better for this man not to have been born. But they are not the saddest words in Scripture. This man, Judas, said to the religious leaders that, for a pocketful of coins, he would betray his rabbi. But still they are not the saddest words in Scripture. The saddest words in Scripture were not spoken by Jesus, nor by Judas Iscariot. Men who were entrusted with the holy things of God spoke them—priests who were called to offer sacrifices for sins, to teach people of Yahweh’s laws and his love. And Judas saw to it himself, alright, by walking away, slipping a noose over his head, and ending his life. How could the priests utter such cruel words? How could they who knew the story of David, who betrayed and shed innocent blood, not repeat to Judas what Nathan had said to the king, “The Lord has taken away your sin,” (2 Sam 13:13)? How could they direct a man, who was sorry for what he’d done, back to himself? How could they respond to guilt with “see to it yourself,” to sorrow with “take care of it yourself,” to regret with “it’s up to you to make it right”? How could they speak the saddest words ever spoken to a sinner? The same way that similar words are spoken still today among God’s people. That’s how. @@To direct a sorrowing sinner back to himself is to treat him as the priests treated Judas. @@ To say to him, “You’re sorry? Well, okay, now it’s your responsibility to take care of that sin,” is to follow in their footsteps. Not to speak forgiveness, but to shoulder them with more guilt, with more to do, is to relive this depressing story. Indeed, we might ask: Who is doing the betraying? Judas betrayed our Lord, to be sure, but this sinner was betrayed by those on whose lips was absent the absolution. Judas exemplifies those who have sinned, and are sorry, but are not repentant, because they don’t believe that God in Christ forgives them. But the priests, who directed Judas back to himself instead of to our gracious God, exemplify all who weigh heartbroken sinners down with more law when they are crying out for the Gospel. Such teachers are like doctors who tell an ER patient to go out and run a marathon when the dying man needs open heart surgery. Walther says, “The Word of God is not rightly divided when the Law is preached to those who are already in terror on account of their sins or the Gospel to those who live securely in their sins,” (Law and Gospel, Thesis 8). When we confess, we don’t need to hear, “Good news! Now, let me teach you seven spiritual disciplines whereby you can be victorious in this struggle against iniquity.” When we say, “I’ve screwed up big time. I’ve betrayed my spouse, my family, my friends. I’ve hurt lots of people,” we don’t need to hear, “Yes, you have. You need to make that right, learn to walk the talk, and act like a Christian next time. And, by the way, here are ten principles to follow to keep you on the straight and narrow.” We already feel like Mt. Sinai is hanging over us by a thread; such law-centered advice is the sound of scissors snipping. I think of Judas every Sunday. During the Lord’s Supper, I hear my pastor repeat these words from St. Paul, “Our Lord Jesus Christ, on the night when he was betrayed, took bread…,” (1 Cor 11:23). He not only took bread on the night when he was betrayed, he took the rotting food of our iniquity and devoured it. Jesus took our evil ways and swallowed them. He took the poison of death and gulped it down. He took our back-stabbing, our playing Judas, and digested it. His plate was full. His cup was overflowing. And he consumed it all. Judas’s sin, the priests’ sin, my sin, your sin. Not one crumb of this world’s iniquity remained, not one drop of death. Whether you repent or not, whether you believe it or not, it is done. So repent, believe, for it is done, and it is true, all for you. Our Lord Jesus Christ, on the night when he was betrayed, never for a moment betrayed his mission to earn absolution for the world. 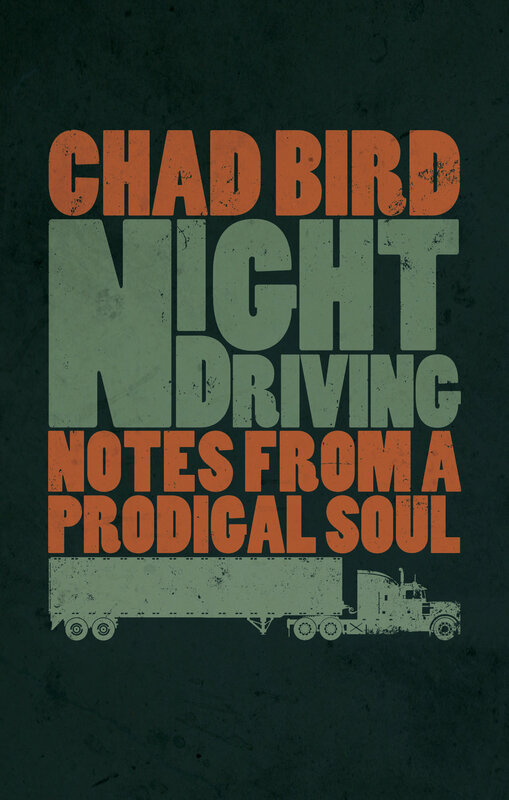 My new book, Night Driving: Notes from a Prodigal Soul, will be available October, 2017. You can read more about it here and pre-order your copy at Amazon. Thank you! Older PostHow Will Your Congregation Die?